Are you in search of the best conditioner for curly hair that will address all your curly hair issues? Welcome to the kulot girl’s world! Sure, some would envy a natural hairstyle that you were born with, but the struggle is real! 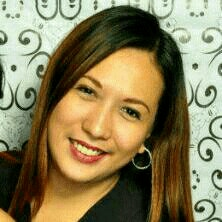 Only a kulot girl truly knows that love-hate relationship one goes through with naturally curly hair. It is very important to find the best conditioner for curly hair that works for you. Bear in mind that our hair is unique, so are our hair concerns. You may seem to have similar hair with your sister, but there are other factors that make yours a little different. Thus, your hair needs will also be different from each other. Another factor that will make hair different over time is how we treat our hair, like hair care practices and styling habits. 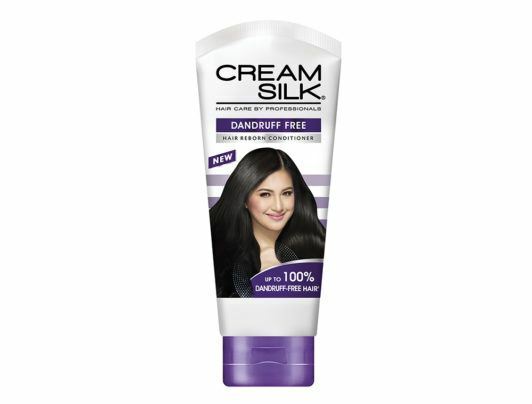 This new ultra-conditioner from Cream Silk is like a blessing for kulot girls! Remember the last time the salon recommended a keratin treatment, but you don’t have the time to just sit that long? This baby gives you the same benefit and more at the convenience of your home. 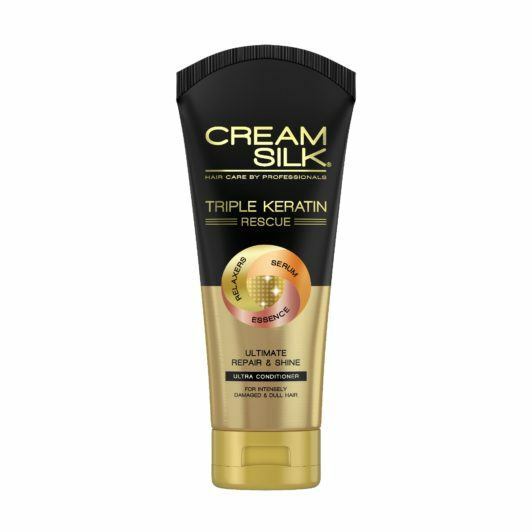 It has Keratin Relaxers to tame rebellious frizz, Keratin Serum to revive intense damage and Keratin Essence to restore extreme dullness. 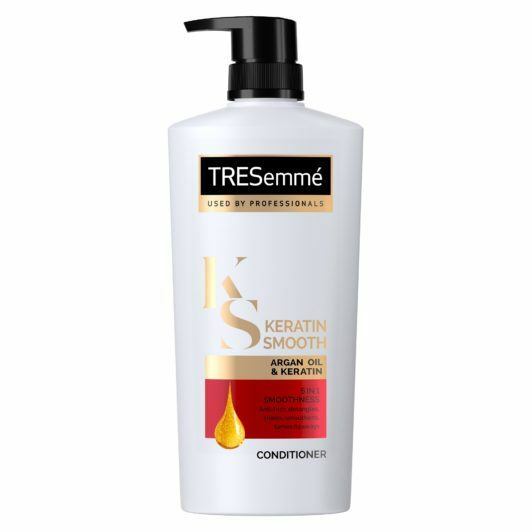 Keratin helps achieve that smooth and manageable hair we all dream of, that is why TRESemmé Keratin Smooth Conditioner tops our all-time best conditioner for curly hair. It also helps control the frizz resulting to an elegantly beautiful and shiny curly mane. Kulot girls usually subject their hair to a lot of stress, specially on those days that your hair seems to have a mind of its own. You pull it tight to have a sleek ponytail or bun. It is constantly tugged and pulled for a clean braid that will hide all the frizz. Often times, you fry your hair with a flat iron to straighten it out. Imagine the damage all that stress does to your curly hair, that is why the best conditioner for curly hair is one that repairs. 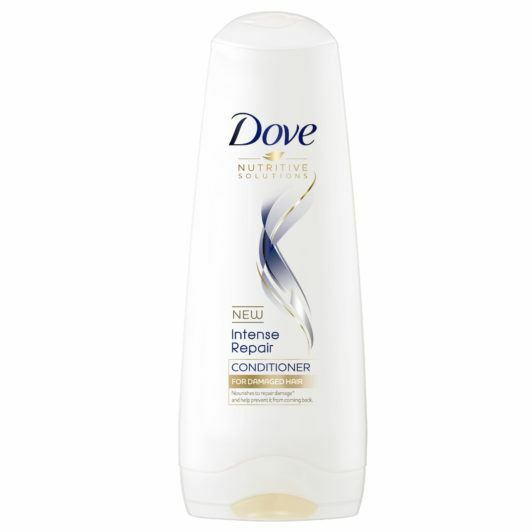 With regular use, Dove Intense Repair Conditioner helps repair signs of damage to the hair surface and penetrates the hair strands to nourish from within. Gorgeous curly locks often tend to be prone to dandruff. Don’t let this be the bane of your kulot beauty. There are several anti-dandruff shampoos in the market, but when you need a conditioner that does the trick, this one’s for you! It’s a favorite because with this conditioner, you don’t have to worry about dry, frizzy hair while keeping dandruff at bay. Extreme damage calls for extreme measures to hair concerns. For naturally kulot girls who are guilty of subjecting their curly locks to chemical straightening and too much use of the flat iron, you are sentenced with life of severely damaged hair— not anymore! TRESemmé Platinum Strength Conditioner is the best conditioner for curly hair because it repairs up to two years’ worth of damage in just five uses! It does its magic by helping reinforce hair’s natural protective barrier. The result restores hair’s health and protects against future damage. There may be days that you curse those curly locks and question why you were punished with such stubborn hair but focus more on those days of ethereal beauty. Those days when your hair is just perfect to let out that inner goddess and make other girls envy your natural curls. Next read: Now that you got our top picks for the best conditioner for curly hair, check out our Kulot girl confessions that enumerate the mistakes girls with curly long hair make. Quiz: Which is the best conditioner for your hair type? Elisse Joson is the newest Cream Silk girl and it’s giving us all the summer feels!